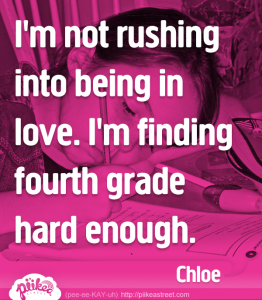 I'm not rushing into being in love. I'm finding fourth grade hard enough. | Pi'ikea St.
I’m not rushing into being in love. 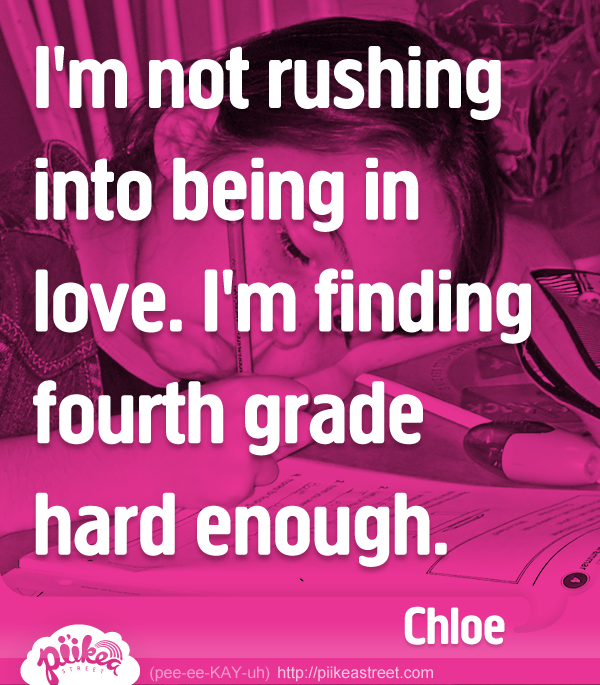 I’m finding fourth grade hard enough.